Ford has given the UK's best-selling car a major facelift in an attempt to keep the Fiesta riding high in the sales charts. Since its launch in 2008, the current shape model has found an incredible 394,715 homes. Now a nip and tuck and the addition of some clever new technology aims to help keep it at the top of its game. "Every year since this model was launched in 2008 the Fiesta has been the country's best-selling car by a fair margin," a spokesman told Autoblog. "There have been a few months where the Corsa has slipped into the number one spot, so we can't claim every month, but it's been pretty close." 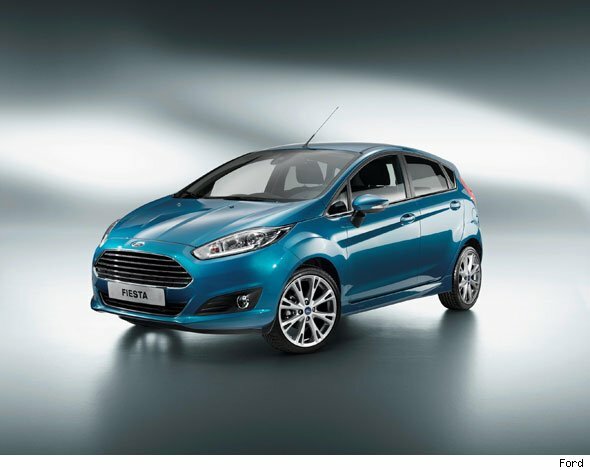 The new Fiesta showcases a sharp new look with daytime running lights, a redesigned front grille and a "power dome" bonnet. "The Fiesta has been one of the world's best-loved small cars for five decades, and the sporty appeal of the last generation inspired real passion among global compact car customers, contributing to its status as the world's most successful small car," said Martin Smith, Ford of Europe executive design director. "We had to keep that vital part of Fiesta's make-up – but we also wanted to give it a more sophisticated look." New technology on the Fiesta includes Ford SYNC – a voice-activated connectivity system which lets owners control phone calls and music hands-free – and start stop engines. And in a smart move, the Fiesta debuts Ford's "MyKey" system which allows parents who lend the car to their children to limit the vehicle's speed and stereo volume. It also mutes audio until seatbelts are fastened and ensures safety aids, like traction control, cannot be deactivated. Clever stuff. Stephen Hendy, director of the Hendy Group, the UK's first Ford dealership told Autoblog he loves the look of the new car. "Our role in the sales process for Ford is made so much easier by the excellent product development work by the manufacturer and the new Fiesta is a perfect illustration of this," he told us. "We are really looking forward to showcasing the car and adding it to the already impressive Ford range at our dealerships." Full details about the new car will be revealed at the Paris Motor Show at the end of the month.